' Sunshine Sunday: Whatever you are, be a good one. - Sisters, What! 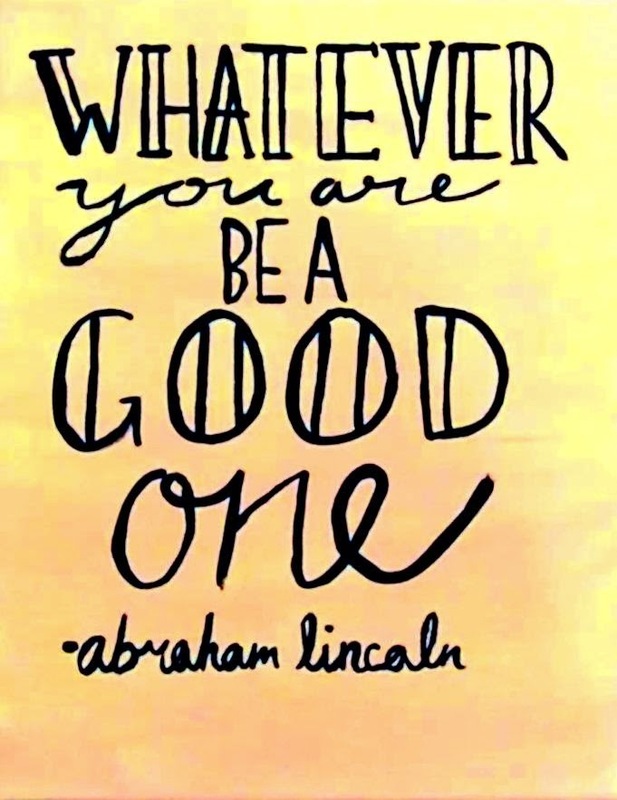 Sunshine Sunday: Whatever you are, be a good one. So I had to share this thought with you this week because it has just meant a lot to me. Now if you read my blog you already know what I have to say about this but I wanted to share some more. This is actually Havalah's favorite quote and let me tell you she really does live up to this. She puts her heart into all that she does, and when she says she is going to do something she does it. But the reason this quote has meant so much for me this week is because I've been feeling very disconnected from my own life. I felt as if my life was living me, not the other way around. And because of it I wasn't the happiest person to be around. But as I saw my boyfriend living this quote, find out more here, I realized it was my turn. Man what a difference it made in my week. I found myself more focused at work, I started feeling deeper about important things, and I started finding answers to my concerns and questions. I'll admit I was exhausted by the end of the week. But I ended the week knowing I had worked hard and that I was now the one in charge. I was doing my best. As I talked to a friend about this quote, who has been going through kind of the same situation as me, we both realized we both needed to be where we are right now and we needed to stop trying to change that. We both had been grumpy and waisting a lot of time. We decided together we didn't want to look back at this time as a big waste. So if you're stuck in a situation or point in life that you aren't absolutely excited about, that is okay. But while you're in this crossroads of your life, still do your best. No matter what it is. As you do your best you'll find more joy and feel more fulfilled. And then the path you seek will come. Doors will be opened and you will start living your life, instead of your life living you.